Get an up-close-and-personal view of Ford's most beloved car, sure to please any Mustang fan. The Ford Mustang is America's most iconic muscle car. With over 50 years of production and some 10 million cars built, the brand is recognized and admired worldwide. 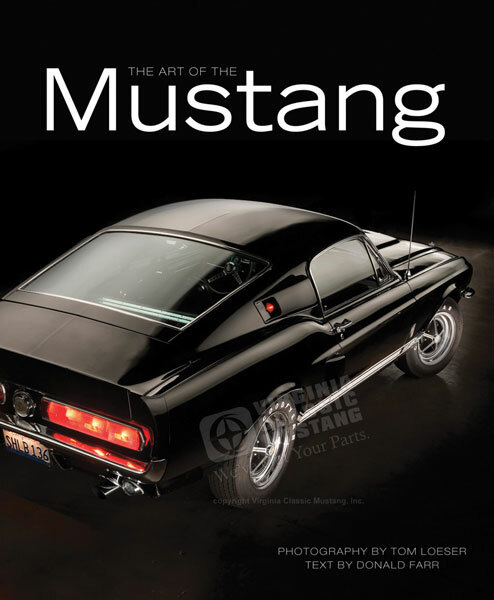 This lavishly illustrated book, full of gorgeous studio photography, walks the reader through more than 50 years of Mustang history, focusing on the most interesting and popular models. From the first six-cylindered Mustang of 1964-1/2 through the heavy metal Boss and Mach 1 versions to today's all-new 2015 Mustang, Art of the Mustang is a detailed visual overview of Mustang's greatest hits, including anniversary and pace cars, high-performance models, SVO specials, and Shelby's high-profile offerings. Photographer Tom Loeser's stunning "light-painted" images are given context by informative text hitting the high points of each featured car, while period ads and brochures help round out the story. It's the closest, clearest look you can get of these ponies without seeing them in person. Photographer Tom Loeser specializes in motorsports photography. He has spent 12 years shooting auto racing for events such as Long Beach Grand Prix, Denver Grand Prix, St. Pete Grand Prix, and 12 hours of Sebring. As editor of Mustang Monthly magazine, Donald Farr has been researching and writing about Mustangs for over 30 years. In addition to his magazine work, Donald authored Mustang Boss 302: Ford's Trans-Am Ponycar and co-wrote How to Restore Your Mustang and the Mustang Recognition Guide with Mustang Monthly founder Larry Dobbs. Donald was inducted into the Mustang Hall of Fame in 2012.